Half way through the season, archaeological filmmaker Archaeosoup Productions visited the project and, with the help of fantastic drone footage by Clive Winward, has produced this dramatic video of what we have learnt so far in this first of hopefully many seasons ahead. Project director Adam Mead explains the context of the project, its strategy and methods. ICE AND FIRE | Project kick-off and finds already! The Eston Hills rescue archaeology project has kicked off and, three days in, we have features and flints. 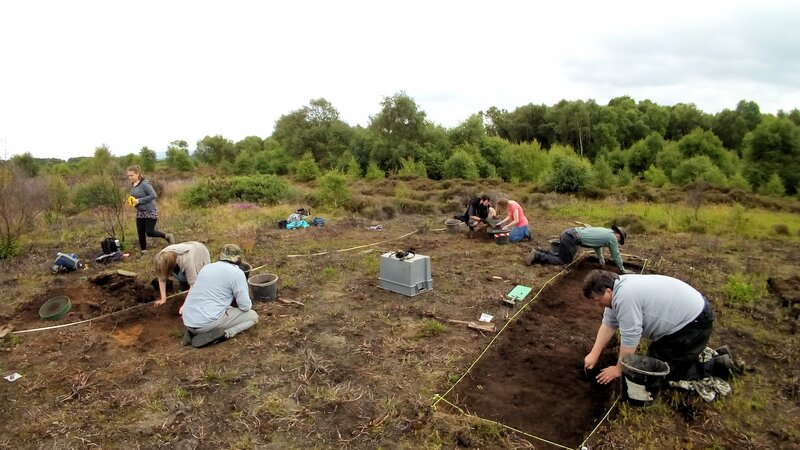 The weather has been mixed, but the hearty project team are delighted with progress, well-informed by previous geophysical work kindly provided by AOC Archaeology Group. 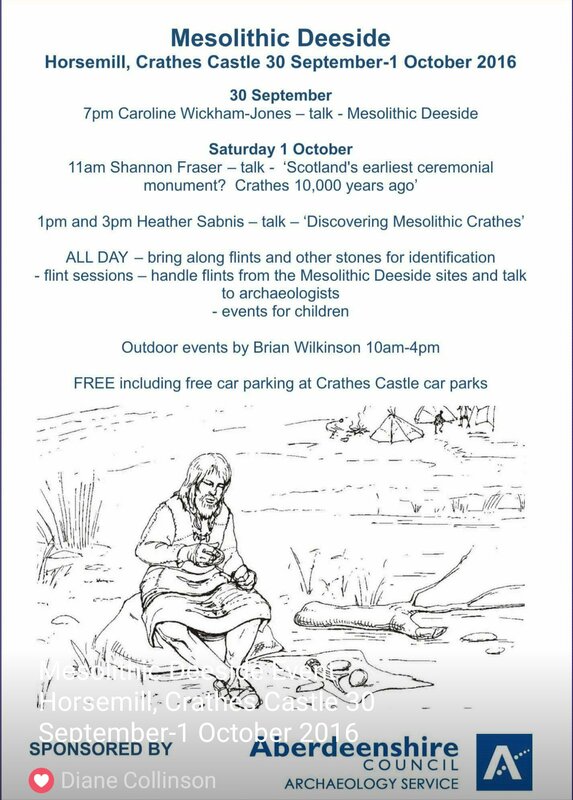 In other news, Mesolithic Spence has a job interview scheduled. Cross your fingers and roast a hazelnut for me? There are still places available for this conference in Edinburgh, Saturday 17 June 2017, free entry. Hope to see you there! 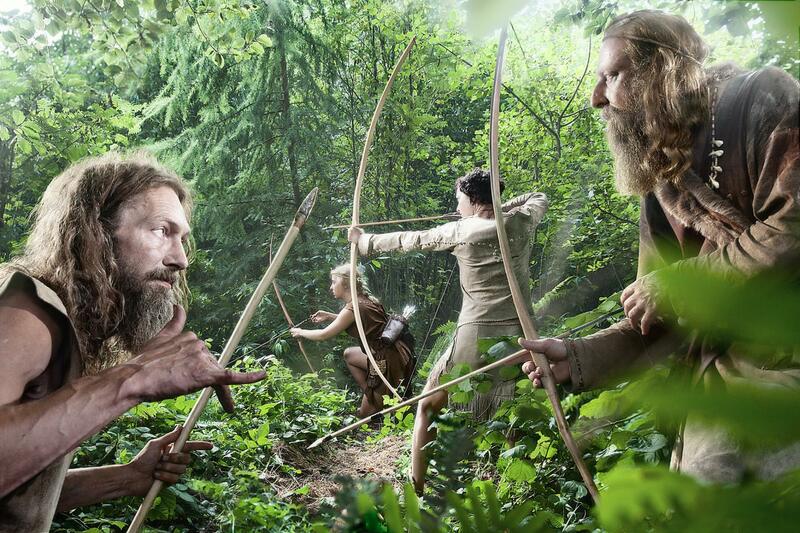 In the summers of 2015-16 the Stone Age Park Dithmarschen in Albersdorf (Germany) organized a Stone Age Living Project in the area of the newly built 2014 “Mesolithic Settlement” site, in the form of both an educational programme and as an experiment. The activities and outputs (used tools and established structures) were scientifically documented by archaeologists from the Archaeological Department of the University of Exeter, England, as partner of the OpenArch-project. The scientific results will be published by Exeter, the detailed documentation will be published by the Stone Age Park in form of a magazine and a brochure. 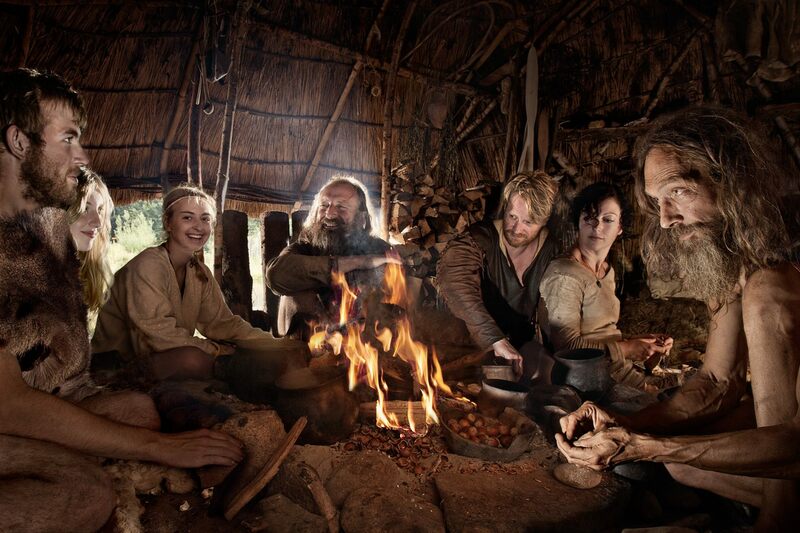 The aim of the project was to reconstruct the everyday life of hunter-gatherers of Mesolithic Northern Europe around 5000 BC by doing an authentic as possible life experiment with skilled re-enactors and experimental archaeologists, in order to gain a new type of insight of how life might have been at that time. Photograph album by Frank Wiersema (2015) » HIGHLY RECOMMENDED!